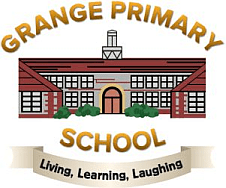 Each term we will be publishing the Grangeton Newspaper and it will be for sale throughout school. Do you want to get the lowdown on the sporting competitions? Would you like to complete some puzzles over the holidays? Love nature? Keen to discover which are the schools favourite Christmas songs or ice lolly flavour? You can grab a copy from the main reception, school fairs and around school for 50p. Our fantastic team is Paige, Rhoda, Casey, Annie, Lucas, Phoebe and Zoe. We believe that our shows make us unique! Each year group performs a show yearly and amaze the parents with the acting, props and entertainment. We have at least 3 performances for each show as they have proved to be so popular and many of our children go onto to take drama at secondary school as they have such a passion for it. Board Games, German, Orienteering, Keyboards, Pet Care, Mosaics, Media, First Aid, Puzzles and Riddles, Lego, Ballet and Tap, Street Dance, Stories through ICT, Engineering, variety of Sports, Superheroes, Musical Theatre, Design Challenge, Problem Solving, Cookery, Graffiti Art AND MANY MORE! Feedback from the children is extremely positive and the workshops are always mentioned by them as being “special” at Grange.